Save 21% vs. regular box office prices! 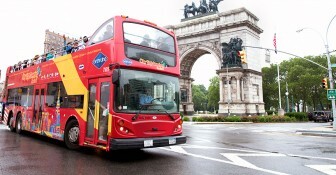 • Hop-on Hop-off double decker sightseeing bus ticket valid for 4 days. • Day trip to Woodbury Commons premium outlet mall including round trip transportation. 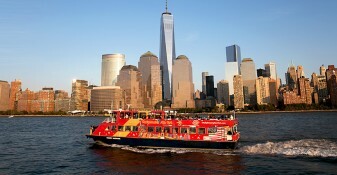 BONUS INCLUDED EXTRAS: Night Tour, CitySightseeing New York® Hop-on, Hop-off Ferry Tour, entrance to the Museum of the City of New York or New York Historical Society, AND an Eat and Play Discount Card. 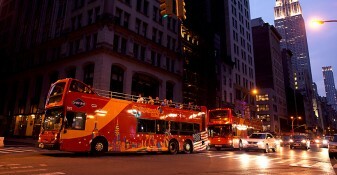 Enjoy a dream vacation in New York City with the Shop, Hop & Top with Top of the Rock tour! 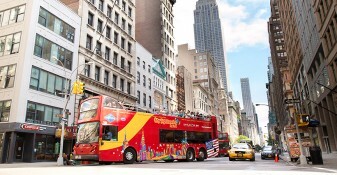 This ultimate package includes 4 days of hop-on hop-off sightseeing bus tours, a full day shopping trip to Woodbury Commons Premium Outlets, and entry into one of New York City’s most iconic skyscrapers - Top of the Rock Observatory! 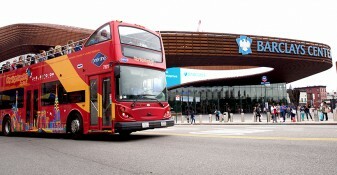 Your 4-day bus pass grants you unlimited access to 4 fully-narrated tour loops through Downtown, Uptown and Brooklyn. 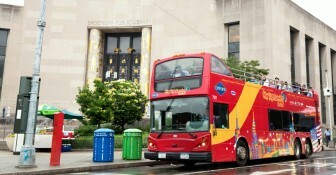 Hop on and off as many times as you please to see all of the attractions along the way. Be sure not to miss out on some skyscraper sightseeing, a must-do for any first time visitor to New York City! At the Top of the Rock Observatory, you will be treated to a Swarovski designed crystal chandelier in the lobby, the Radiance Wall made from blown glass and fiber-optic lighting, and stunning 360-degree unparalleled NYC views from the 67th, 69th and 70th floors! 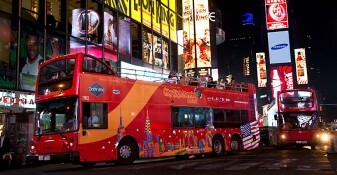 If you like, you can also choose to visit the Empire State Building instead, with your Shop, Hop, and Top tour package. With so many things to see and do in New York City, planning your perfect trip can be a challenge. Let CitySights handle the transportation and the details so that you can relax and enjoy your perfect trip to the Big Apple! *To avoid longer lines at the ticket counters we suggest you redeem your tickets, in the afternoon, a day or two prior to using them. Lines are usually longer in the mornings. If redeeming for the day of your trip to Woodbury Common Premium Outlets please arrive at least one hour prior to your desired departure time. The next time you are in New York, make sure to visit the Top of the Rock Observation Deck located in Rockefeller Center. This amazing site offers miles of unobstructed views so you can fully appreciate New York’s concrete jungle. There are miles of observatory views that showcase some of the top sites in the city. With so much to see at this site, you might stay for hours. You can experience all of Manhattan’s wonders and more, including the Chrysler Building, Central Park, the Hudson River, the Brooklyn Bridge, or Time Square. This popular attraction is centrally located and open until midnight daily. Whether you visit at night or during the day, you are sure to fall in love with the beauty of the city. 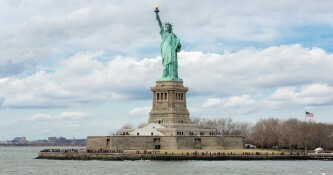 It is no wonder many people include this attraction on their must-do when they come to New York. The Top of the Rock Observation Deck is more than a great view of the city. When you first arrive at the building, you will love the welcome area. The Joie Chandelier hangs in the atrium lobby and covers three full floors. Swarovski designed the spectacular “Joie” that you will probably want a few pictures of. When you pass through the Mezzanine Exhibit, you will see a collection of artifacts and photos that depict the history of Rockefeller Center and the Top of the Rock Observation Deck. While you are browsing photos, make sure to glance at the Beam Walk. This is the famous image taken of construction workers eating their lunch on the Beam. Along with the photo, there is an Interactive Beam Walk for interested guests. When you arrive at the top, you will see the Radiance Wall. This is an amazing glass panel wall created out of crystal clusters, mouth-blown glass, and fiber-optic lighting. While at the top, you can also visit the Breezeway Step. This room provides a unique and interactive experience for guests. You will be assigned a color and the lights from that color will follow you as you walk. There are several places to take in the views, including an outdoor space and an indoor space. When you are outside, you can use binoculars to browse the unobstructed views on the 67th, 69th, and 70th floors. If you prefer the indoors, you can relax on the 67th floor and gaze out of windows that stretch from the floor to the celling. You won’t regret visiting this New York attraction. Get your tickets today, and plan to spend a few hours at the Top of the Rock Observation Deck. - Day trip to Woodbury Common Premium Outlets including round trip transportation and FREE coupon book. - 2 ticket options: Flex or Super Saver - Choose your own schedule with our Flex option or opt for Super Saver and depart/return at fixed times to take advantage of EXTRA savings. - Optional Combo package. Add all of NYC’s top sights to your shopping experience when you choose the NYC Sights and Shopping package at checkout! For the best of luxury New York City shopping without the Manhattan price tags, head to the Woodbury Common Premium Outlets! Located just one hour north of Manhattan, this popular day trip destination offers quality designer merchandise at unbeatable discounted prices. Woodbury Common is also home to an impressive array of children’s stores including Carter’s, Gymboree, Nautica Kids, J. Crew/Crewcuts, The Disney Store, and more! Pick up some new clothing for the kids or get a head-start on holiday shopping. With top deals on items for children of all ages, you can spoil everyone on your list without breaking the bank. In addition to fabulous clothing, you can find specialty items such as footwear, luggage, jewelry, housewares, and novelty gifts at several stores throughout the outlets. Pick up some mouthwatering chocolates at Godiva or Lindt Chocolatiers. Need additional luggage to bring home all of your new purchases? Stop by Samsonite or The Luggage Factory for quality luggage at a fantastic price! All of the bargain-hunting is guaranteed to work up an appetite, so stop over at one of the many restaurants at Woodbury Common to give your feet a break and enjoy some delicious cuisine. With over 15 unique food options to choose from, there is something to satisfy every palate and price range. When you book your Woodbury Common Outlets trip through CitySights, you will receive round trip transportation AND a free coupon book for even greater additional discounts. With daily departures at convenient locations within Manhattan, experiencing the bargain shopping opportunity of a lifetime has never been easier! "I bought the 3D+1 free day package. It was great as for a flat rate, we settled all the attractions. The package also included the top of the rock and woodbury tour. Woodbury was a great place to shop! It was far better than macy's. I started my tour on a saturday and traffic was smooth. By the third day which was Monday, traffic was heavy and it meant that bus took longer to go to the stops. Overall, I felt it was great as it was hassle free and I did not have to use the subway for the 4 days I was on tour. There were ample city sights NY stops and agents around to help too. "I went to this trip with my daughter, and to be honest, I find that it’s the best purchase I’ve made with my money. This package in one word is complete. They take you downtown and you get to stop at the Empire State Building and Rockerfeller Center, among other places. You can also stroll around in Central Park and the American Museum of Natural History. One of the best things though, is that every driver and guide has been friendly and accommodating. 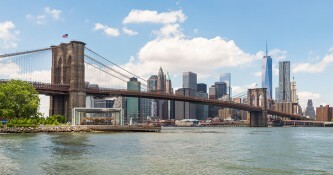 If I ever go to New York again, I will definitely book a tour with City Sights. " "For a couple from a small town in Washington, going to a big city like New York is a bit intimidating. But this tour removed the nerves of my wife and I. At first I was doubtful, because how can a tour with other people be romantic? But then we found out that we pretty much control the tour. We get on and off the bus when we want and however long we want. I guess the only downer was when it rained. It’s not exactly comforting to be on top of the Empire State building, while it’s raining and windy. Overall though, I think we’ll do it again. " "My trip to NYC was worth every cent. I shopped until I dropped, literally. My family has been telling me to take this trip for a long time now, and so I did. I can’t wait to do it again!" 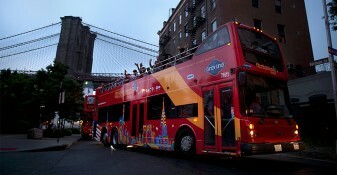 "this is my first time to take a tour and quite literally, ride a tour bus. let me tell you, It. Was. Awesome!! i've always heard that new york city was great, but now I know for sure. you've all made it much more fun and easy for me and all the other tourists, so thanks city sights!!"